I have noticed strange behavior. [8541:8596:0823/154853.443157:ERROR:browser_gpu_channel_host_factory.cc(103)] Failed to launch GPU process. Do you change default browser inside settings? test -r "$profile" && . "$profile"
# Termcap is outdated, old, and crusty, kill it. @TaurohtaR What do you want to do, exactly? I want to get rid of that annoying “Set as default”. Yes, it is possible - theorically. Practically, and for unknown reason, it’s not an easy job. One time it didn’t work for me too, and a spent a day trying to fix it, without getting a result. I use Chromium, but it should work exactly the same way also for Chrome. The workaround consists in removing Chromium’s check whether it is set as a default browser. Clearly, it makes sense only if Chromium already works as a default browser. 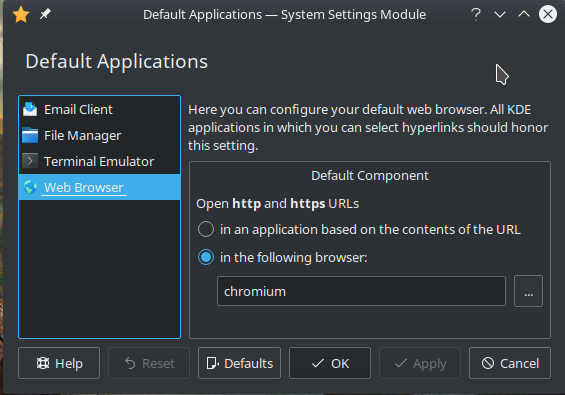 Modify menu entriy and .desktop files, which invoke Chromium. Add the –no-default-browser-check parameter to the command. 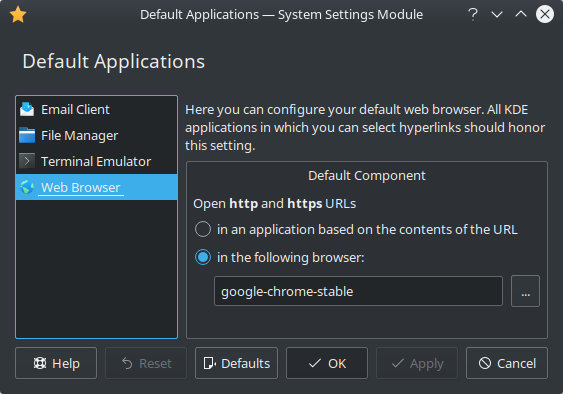 But now Chromium works as a default browser and without repeating “Set as default” request without all these tricks. Thanks, the trick with modification of launchers with --no-default-browser-check helped. But I think it will be reset on next chrome update. Sure, I’ll create script to replace execution command but it would be nice have some more persistent solution to this problem.